10 Fabulously Expensive Homes in Nebraska! If you’re looking for the ultimate dream house, it can be found in Nebraska. From Omaha mansions with views of the skyline to Elkhorn estates with in-ground pools and horse trails, there is something for every type of taste here. Check out these 10 immaculate, high-priced homes in Nebraska! If you’re looking to own a part of Omaha's downtown skyline, this luxury property is your best bet. With breathtaking 360-degree views, a fabulous open floor plan, gourmet kitchen, and a formal dining room, this blockbuster is currently listed at $3.3 million and comes in as the highest priced home currently for sale in the state. With a whopping seven bedrooms and eight baths, this modern Normandy-style cottage home is currently on the market for $1.825 million. The beautifully constructed home is adorned with hardwood flooring throughout and features a spectacular eat-in kitchen, coffee bar, large walk-in closets, and a massive patio that overlooks an acre lawn. This stunning $1.39 million home in Elkhorn features five bedrooms, five baths, and a four-car garage. Situated on a three-quarter acre lot, this million-dollar home features all of the latest upgrades for an active lifestyle, including smart home technology, a commercial-grade golf simulator, an indoor sports court, exercise room, and much more. Coming in at $1.35 million, this lovely ranch home sits on a scenic tree-filled lot with gorgeous views. With just the right mix of formal and informal touches, this four-bedroom and five-bath home features floor to ceiling fireplaces, a gourmet kitchen, wine cellar, and plenty of space to entertain guests. Enjoy lake-side living at this $1.35 million home situated on 220 feet of beach shoreline with three docks for all of your water sport needs. Breathtaking lake views, four fireplaces, a man cave, and stunning landscaping make this home one luxurious abode. With over 10,000 square-feet, this magnificent home in Elkhorn certainly comes with enough amenities to fit its $1.3 million price tag. Sitting on 1.5 acres, the magnificent home features vaulted and beamed ceiling, an enormous master suite, and stunning engineered wood flooring throughout. But the best part is certainly located outdoors. Featuring an in-ground, saltwater pool and horses trails, this home is amazing both inside and out. Located in Omaha, this 8,000-foot extremely modern home features three bedrooms and four bathrooms and all of the luxurious open space that you’d expect from the blockbuster $1.29 million price tag. This spectacular home is built for art lovers, with plenty of nooks and crannies to display stunning works. Located in the heart of West Shores Lake in Waterloo, this 6,000-square-foot home is listed at $1.27 million and features over 200 feet of sand beach to enjoy lakeside living. Open floor plans and high-end, modern finishing are featured throughout the home. For lovers of the great outdoors, the home features a large deck, a sports court, and much more. This gorgeous $1.19 million contemporary home was recently updated from top to bottom and its amenities do not disappoint. 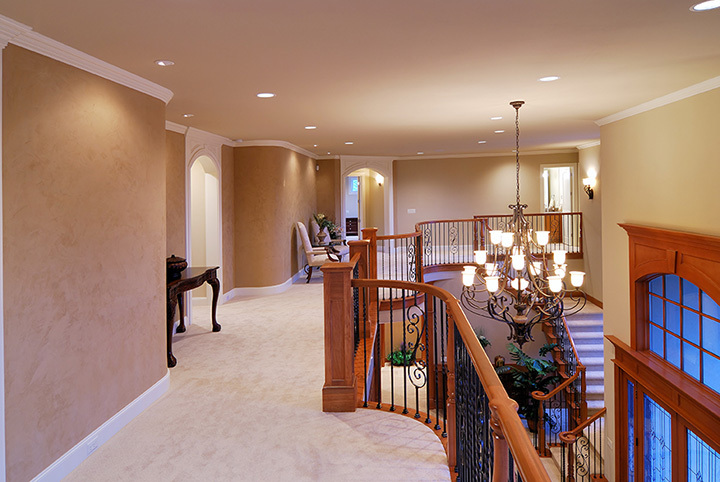 Inside, the home features a grand entrance with marble flooring. Outside, there is a backyard oasis featuring two decks, two patios, an outdoor bar, gas fireplace, and heated garage. Omaha is no stranger to pricey homes. This 6,295-square-foot luxury home in the big city is listed at $1.1 million and is the definition of timeless elegance. Featuring a stunning master suite, spa bath, custom closet spaces, and a coffee bar, there’s no shortage of fine amenities throughout the home. The home also features crystal chandeliers from New York City.